Two of Vancouver Island’s artists Oliver Swain and Glenna Garramone are gearing up to pay tribute to Leonard Cohen. Victoria’s multi-instrumentalist Oliver Swain (The Bills, The Duhk, Outlaw Social, Big Machine) and west-coast poet Glenna Garramone (Shane Koyczan) present a special evening with Tower of Song, their minimalist modern roots take on the Canadian legend. 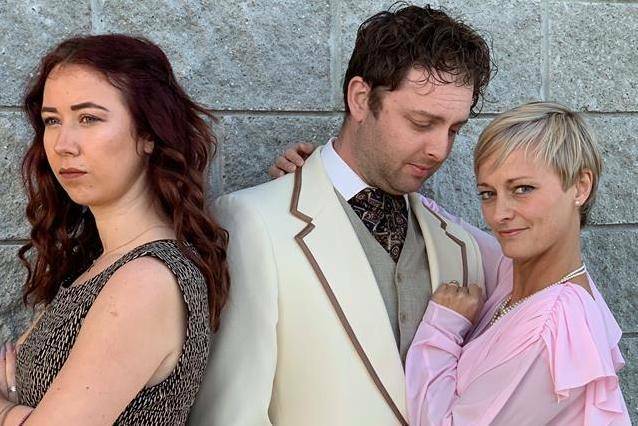 The show, Dance Me to the Edge of Love, will feature guest performances by local up-and-comers Steph MacPherson and West My Friend, Victoria fiddle and horn sensation Daniel Lapp and his daughter Mary Belle, and poetry from Island poet and Victoria City Councillor Jeremy Loveday. Due to popular demand, organizers have moved the show to the Dave Dunnet Community Theatre, at Oak Bay High School on Dec. 9. Doors open at 7 p.m. with the show kicking off at 8 p.m. The show will feature an expanded repertoire of Cohen tunes, including – in a departure from the outfit’s typical approach – a few classics. “We’ll probably play ‘Hallelujah,’” Garammone said. Though many artists have covered Cohen, few do it with the pure, understated beauty of Tower of Song. Oliver’s delicate, fractured tenor and Glenna’s sultry, mezzo soprano spin stirring harmonies over serene instrumentation. Highlights include Hey That’s No Way to Say Goodbye, which features the banjo and gentle harmonies reminiscent of a Be Good Tanyas arrangement; Everybody Knows, which is driven by grass-roots cabaret-style piano and Glenna’s jazzy vocals; and True Love Leaves no Traces, an airy, percussive cover that’s a far cry from the fully-orchestrated original. Garammone and Swain rushed to put the show together in order to honour the grief felt by many of Cohen’s fans – and to provide an opportunity for them to both mourn and celebrate his life.